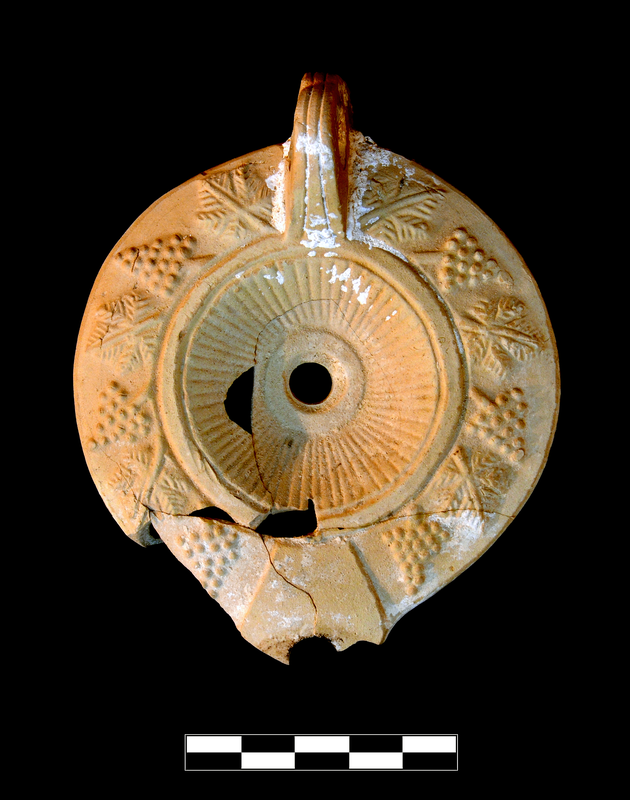 Circular discus has central filling hole with raised rim, ray motif, and framing ring. Shoulder has vine pattern of six broad, triangular grape clusters alternating with six frilled pentagonal leaves. Raised, kite-shaped nozzle with traces of burning. Underside of nozzle is slightly angular; walls all around are almost straight. Narrow, pierced handle with two grooves extends to just under 1 cm above base. 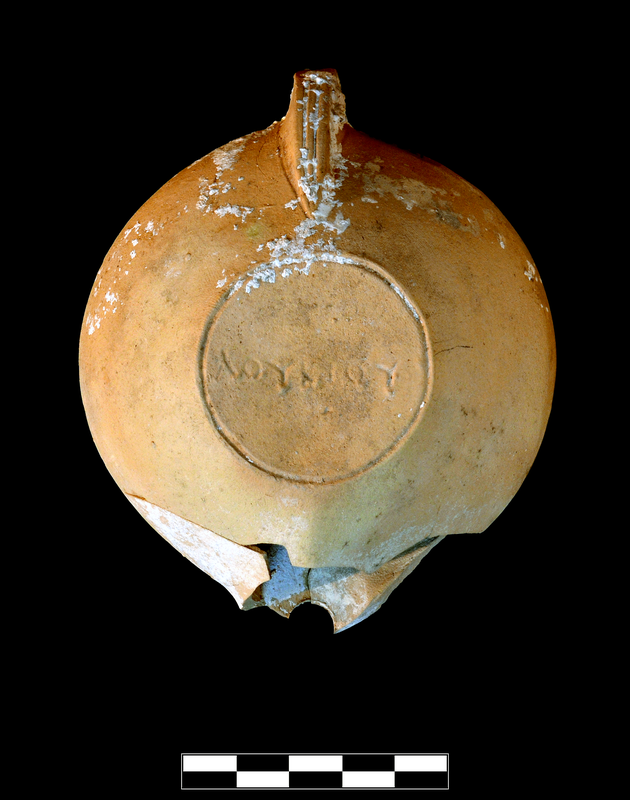 Plain, flat base has circular groove enclosing incuse signature: ΛΟΥΚΙΟΥ. Details are sharply rendered. 10YR 7/4, very pale brown. Early/Middle Roman Corinthian fabric. Five joining fragments preserve entire lamp except small parts of discus, rim and nozzle. Slight, sparse abrasion; moderate, sparse patches of encrustation around handle.